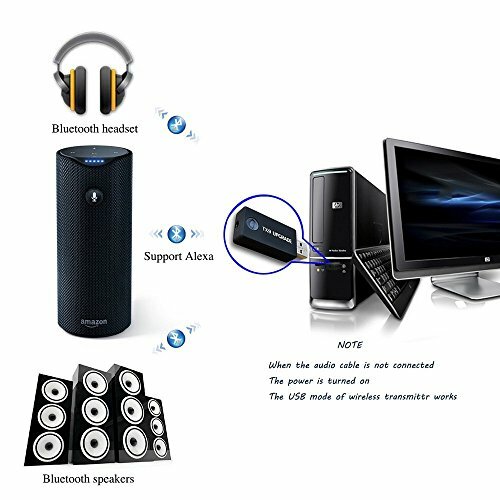 speakers and other Bluetooth stereo audio systems. 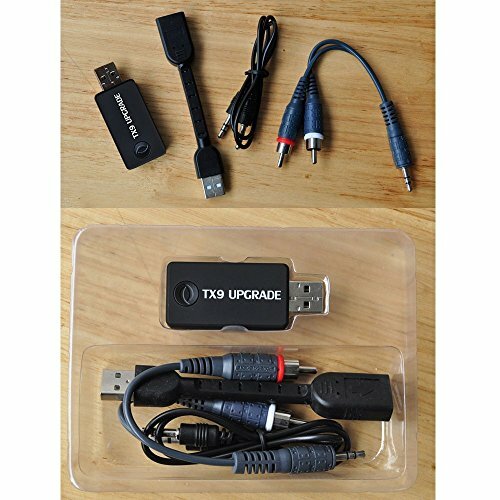 Easy to use for power supply by USB. 2. 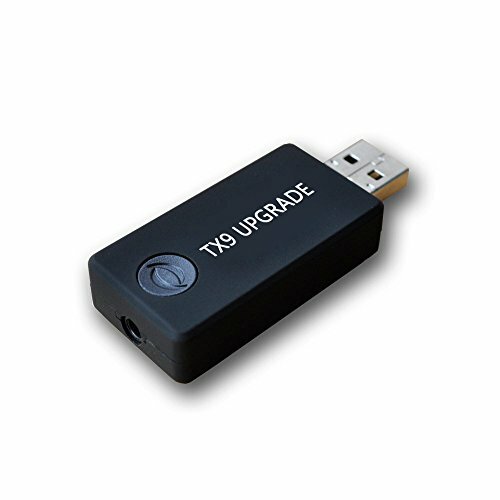 *If it is used on TV, before buying, please confirm whether there is audio output interface on TV such as RCA or 3.5MM interface. 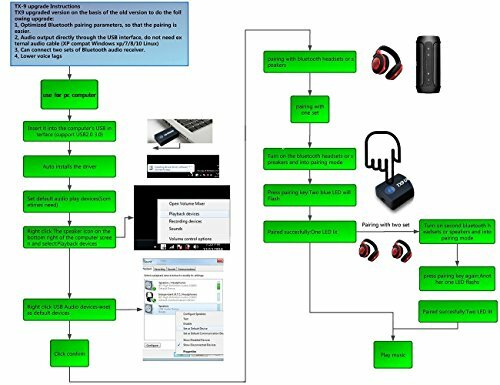 Low Delay: CSR chip ensures very low lags and high-fidelity stereo sound. 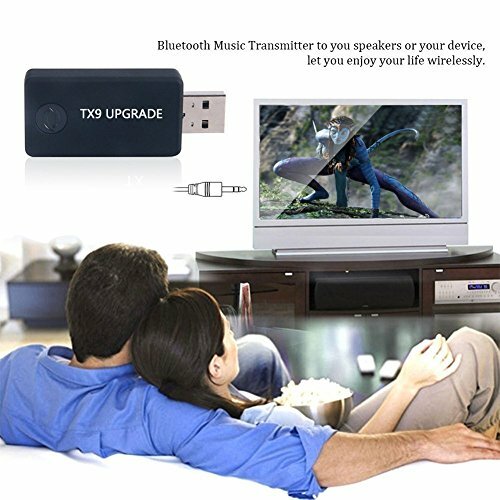 High performance with A2DP for enhanced audio quality too, allows you to enjoy the stereo music without wire restriction or watch TV quietly. 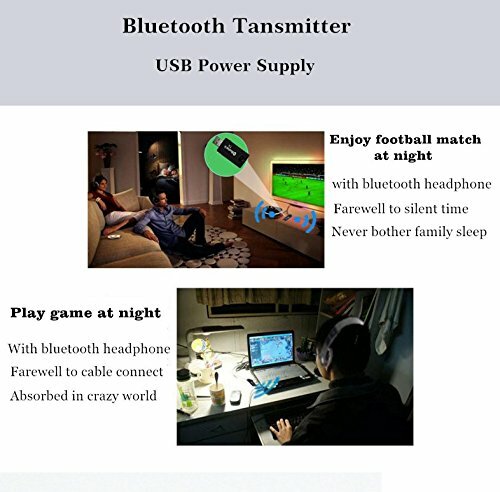 Dual Connection: Connect with two bluetooth headphones/speakers simultaneously so two people can enjoy fantastic happiness at the same time. Enable Memory function and re-automatic connection next time. 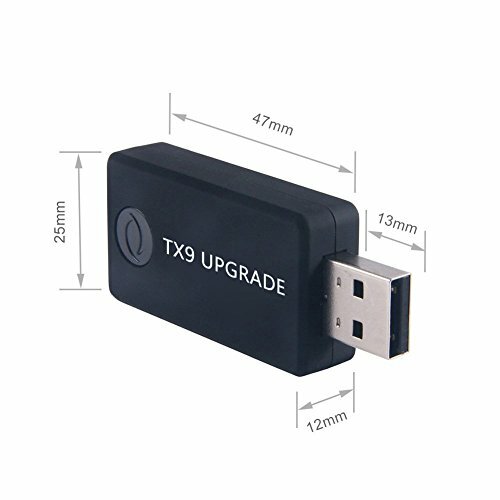 Easy to use: The device is powered by USB, no any other software or drivers are requiries. Complex settings and professional knowledge are not required too.